This is the newest member of Gerry's family, meet Uncle Joe! 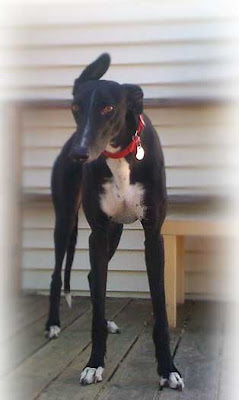 Gerry's parents adopted him from a local Greyhound rescue about 2 weeks ago. We met him for the first time today and he is such a sweetheart- Mr. Calm and Cool, and how can you not love those ears of his! Welcome Joe!